Artist Christine Clark had all of the hard work taken care of. The concept was developed, the work had been made, and the installation site had been secured. One little question remained. 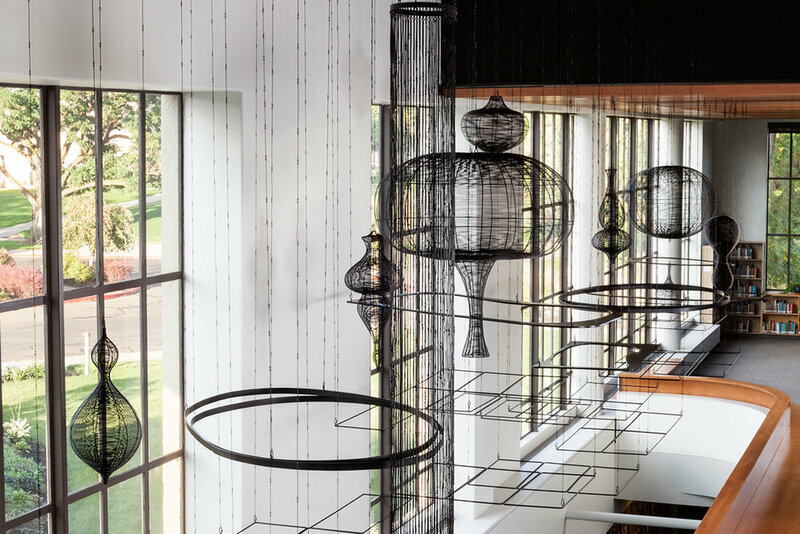 How do you make over 2,000 lbs of handmade steel wire sculptures appear to effortlessly suspend in the air? We provided engineer-approved hardware solutions, an installation plan, and an expert team of installers to bring Christine’s vision to life. Designer/Artist: Christine Clark. Fabrication: Christine Clark. Install: Rob Off. Location: Eastern Oregon University, La Grande, Oregon.